Symptoms of ulcerative colitis can impair your ability to do full-time work. Therefore, patients suffering from ulcerative colitis are eligible to receive disability benefits if certain conditions are met. The following are conditions under which you can indeed receive disability benefits for ulcerative colitis. Ulcerative colitis is listed under the inflammatory Bowel Disease (IBD) list of impairments in the Social Security Administration's Blue Book. If a doctor diagnoses you with ulcerative colitis, you can qualify for disability benefits under the IBD categorization. In addition to the diagnosis, however, you would need to show that a specific complication that arose as a result of the disease is continuously affecting your health and ability to do the type of work that you were doing before. Such complications include anemia, bowel obstruction, perineal disease or a tender abdominal mass. These conditions can make you weak and unproductive, thereby inhibiting your ability to work. If you are not able to do the type of work that you did before, you are potentially eligible for disability benefits. 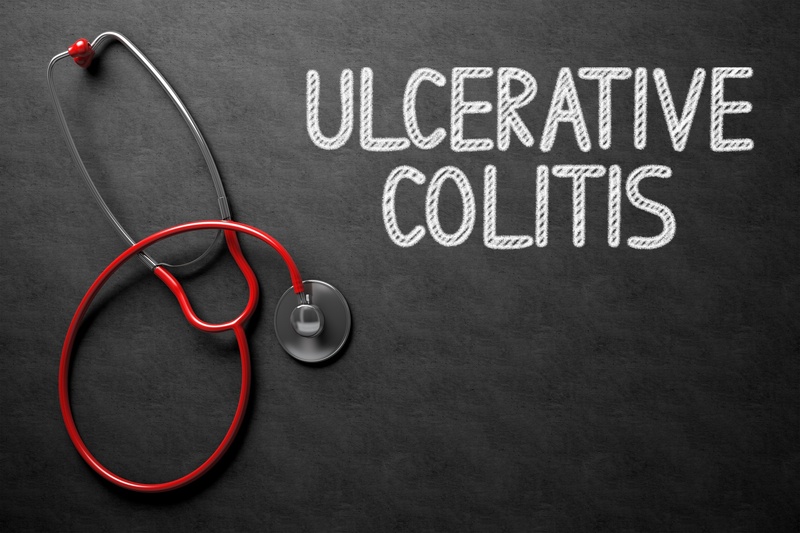 Ulcerative colitis affects the lining of the large intestine, causing inflammation and ulcers. This can affect the body’s digestive system, where crucial nutrients in your diet are lost through leaks along the lining of the colon and are excreted from the body as diarrhea. This complication can lead to excessive weight loss. If you have lost a significant amount of weight due to ulcerative colitis, you can qualify for disability benefits under the Social Security Administration's listing for weight loss. Weight loss in itself is not considered a disability under the SSA, but it is classified as a symptom arising from a range of other complications which you may be experiencing and therefore affecting your ability to work. If you are experiencing involuntary weight loss, you can apply for benefits under listing 5.08 which was written to specifically address “weight loss due to any digestive disorder.” To qualify, you need to have undergone treatment by a doctor and have recorded a BMI of 17.5 or less on two occasions over the span of 6 months. Symptoms of the disease such as diarrhea (requiring frequent unplanned trips to the bathroom), anemia and fatigue (which can inhibit your ability to work at an acceptable pace) can inhibit your ability to do full-time work. To increase your chances of qualifying for disability benefits due to this reason, you should under-diagnosis by a specialist in addition to that of your primary doctor. Disability specialists at the SSA place a greater weight on diagnosis by specialists. In conclusion, if your ulcerative colitis condition can make you eligible for disability benefits. If your condition is impairing you from working, the experts at DEF can help. With over 100 years of combined experience, we know how to navigate the SSA’s application process and we can help you prove your disability case. Don’t put off filing your application in fear of rejection. The anxiety and discomfort caused by the disease, and the pressure of having to work 40 hours a week or more in order to keep a roof over your head, can take a huge toll on your health. Let our team of experts help you get the benefits that you deserve.